PLEASE NOTE: The Afex™ Extension Tube Assembly and the Afex™ Receptacle are required to use this product! The Afex™ Bed Bag offers the comfort and protection needed to have a good night sleep. Leak resistant, latex free bag holds up to 2-liters of urine, eliminating sleep interruptions due to frequent trips to and from the bathroom. ; and, protects the skin and bed linens from wetness. 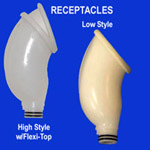 The Afex™ Receptacle, Afex™ Extension Tube Assembly and Afex™ Briefs are required for use with the Afex™ Bed Bag. The Afex™ Open-Sided Briefs are the best choice to use with the Bed Bag. 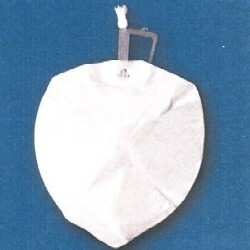 The Velcro® side closure make it easy for caregivers to access the incontinence system. The bag securely connects to the Extension Tube Assembly using the "Twist and Lock" feature. The Afex™ Bed Bag can last up to 6 weeks with proper care and cleaning. Afex™ suggest using the specially formulated Afex™ Cleaning Solution. It safely eliminates odor and prevents bacterial contamination. Adhesive free urinary management collection system starter pack for chronic male urinary incontinence. 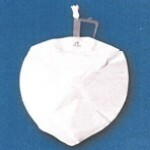 Convenient and cost effective over dispoable absorbents.